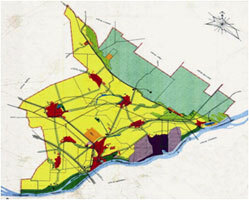 The Urban Institute of Vojvodina found by the National Assembly of the Autonomus Province of Vojvodina in 1950, is a budgetary institution of a particular significance with the aim to conduct and coordinate urban and regional planning and communal infrastructure development in Vojvodina. 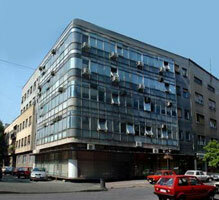 Initially the Institute had the headquarter in Subotica, and there was a branch department in Novi Sad. On May 27th 1954, the Executive Council of Vojvodina granted financial independence to the Institute. On the end of the same year, the Workers' Council of the Development Services in Subotica, in the joint session with the cooperative of The Urban Planning Institute of Vojvodina, decided that the Development Services in Subotica should take over the employees and assets of the Urban planning Institute of Vojvodina after its liquidation by the Executive Council. 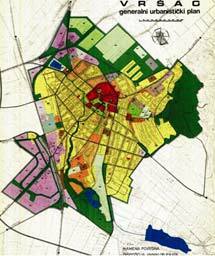 By the decision of the Executive Council of the National Assembly of Vojvodina from December 16th 1959, the new institute was established named The Institute for Urban Planning, Housing and Communal issues of AP Vojvodina. It was institution with independent financing, organized on principles of social management, founded to manage and promote urban development, housing and communal services, monitor and study spatial problems and conflicts in this area. It provided service for municipalities, provincial authorities and business organizations. In accordance with decision of the Executive Council about independent institutions that are financed by general income, the Institute was no longer funded by the budget principles, but by the principles of income, since January 1964. 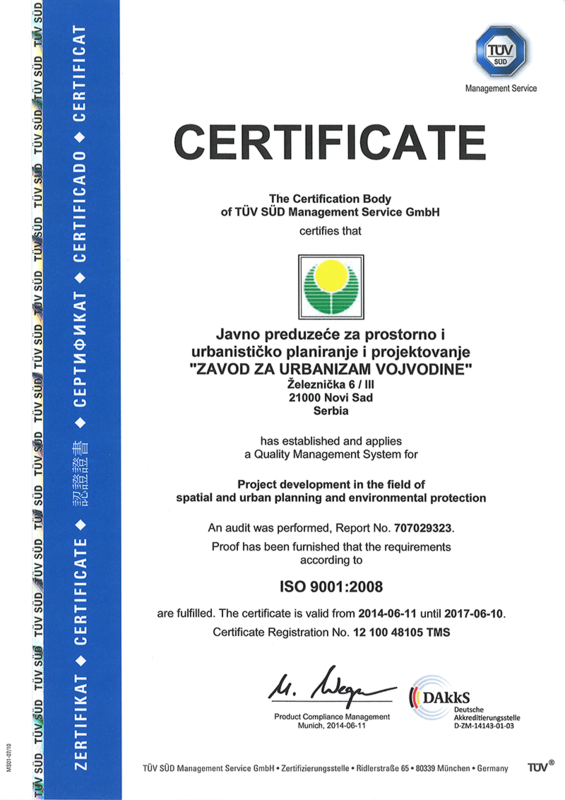 That moment was marked as the beginning of the intensive work on the urban and spatial planning documents for settlements and municipalities in Vojvodina. During 1970 Vojvodinian General Assembly passed the Law on Institutions set up by provincial authorities, by which the Institute was one of five institutions in Vojvodina that performed activities of special social interest. Supervision over the legality of the Institutes work was made by Provincial Secretariat of Urban Planning and Communal Affairs. With the amendments to the Statute of the Institute made in December 1979, the Institute changed its name to "The Institute for Urbanism of Vojvodina". In 1984 the Institute became self-governing organization of the joint work, and by the modifications of the Statute in December 1989, it became a social enterprise, which operates in the accordance with the Law on Enterprises, and thus conducts business activities in order to gain income or profit by offering services on the market and bear the risk of own business. After the adoption of the Constitution of the Republic of Serbia from 1990, and the Statute of AP Vojvodina in 1991, changes were made to the Statute of the Institute. There were no more representatives of wider community appointed by the Executive Council in Workers Council of the Institute and the director was elected by a public announcement, without the prior consent of the Executive Council of Vojvodina. Activities of The Institute as a social enterprise (1990-2002), were particularly focused on the production of documents for municipalities, large infrastructure systems and other users of space in accordance with the Law on planning and arrangement of spaces and settlements. During the period of fracturing of the country and the intensive economic crisis, The Institute had difficulties in securing jobs and generating revenues. After 2000, the work environment gradually stabilized as the consequence of the institutional and social changes in the country. The market economy and the new legislation brought up work on numerous urban and spatial plans for many municipalities across Vojvodina. According to the last constitutional changes and institutional distribution of power in the country, Autonomous Province of Vojvodina has been appointed to monitor and manage implementation of all spatial and urban plans applied on its territory (also Spatial Plan of the Republic of Serbia). The Urban and Spatial Planning Institute of Vojvodina, as a public enterprise, in 2002 was transformed into a public company as it operates today.